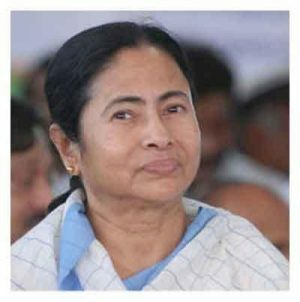 Kolkata: With an aim at regulating the private hospitals and nursing homes, West bengal Assembly was seen passing the West Bengal Clinical Establishments (Registration, Regulation and Transparency) Bill 2017 on Friday. The bill is reported to have been passed by voice vote, with the government rejecting the opposition demand that it be sent to the standing committee for scrutiny. The Act is applicable to all healthcare delivery establishments including private hospitals, nursing homes, clinics, dispensaries and polyclinics. It makes mandatory for private hospitals to pay compensations in case of medical negligence. Hospitals violating this law will be liable to pay fine of Rs. 10 lakh or more. Compensation in case medical negligence: Rs 3 lakh for minor damages, Rs 5 lakh for big damages and minimum Rs. 10 lakh in case of death. This compensation will be given within six months. The compensation amount will not be more than Rs 50 lakh. Penal measures: It ranges between compensation and scrapping the licence of the physician/hospital. The commission can put offender behind bars up to 3 years. It can also order trying the offender under the Indian Penal Code (IPC) provisions if it deems fit. Fair Pricing: Hospitals with more than 100 beds must start fair price medicine shops. They are mandated to declare bed charges, ICU charges and package costs which can’t be altered. “The provision of the act are imposing an inspector raj and the licenses of the hospitals can be cancelled every time there is a death to satisfy a politician or two. To include medical negligence under criminal jurisprudence is unjust. At no time, in a treatment there is an intention to kill the patient or there is no mens rhea,” the statement issued by Dr RV Asokan, Chairman IMA Hospital Board of India and Dr Jeyesh Lele, Secretary IMA hospital Board of india added. Before making such Acts and Rules Doctors Associations need to be taken into consideration /Confidence. Medical Services ..for lay people must be affordable as well ! Parallel Government HCDS must be made more competent. This is contestable in court. Holds no water. There should be some law to control people like M.B. Doctors should boycott here to treat her when she gets ill . Such people should allowed death without treatment .